An end-to-end software solution for Bureau de Change Automation, aimed at Full-Fledged Money Changers and Authorized Dealers. The system delivered as Software-as-a-Service (SaaS) and in-house deployment for large companies, covers the entire operations of a Bureau de Change (Money Changer) from Point-of-Sale to complete accounting and financial Management. 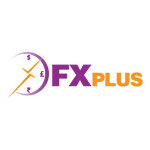 Pros: The software,Security features,reports,updations,quality support all stand guranteed and is a tool for every FX business. Surely we will forward your wish list to product head. Pros: This Software covers almost all the points related to Forex Business of FFMC, adhering with RBI's guidelines. Various MIS reports available to fulfil Management's requirement. Menu items are searchable. Cons: The figures in the reports should have commas, so it would be easily readable. Hi Sunil, Thanks for your review. Comparison of current & previous year so that targets can be set easily for organisation. Pros: Automation is the best feature and easily customisable. Reconciliation are very easy and automated. Automation of reports are another good feature. Cons: Look and feel of the reports could be made better. Presentation of the reports can be improved along with the allocation of menus. Overall: Helped in reducing manpower expenses by reducing the size of back office. This software also helped in reducing the infrastructure cost.